2015 Best Agencies to Work For in the East Coast! Success within any organization is defined by the contributions of each employee. 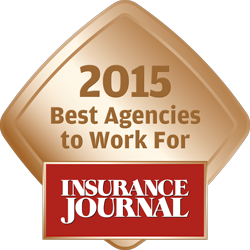 Novick Group, Inc. is in need of talented insurance professionals for a variety of positions. For those who meet our standards we provide an exceptional and rewarding work environment. We offer in-depth training, paid educational assistance, an exceptional benefits package and a great place to work. We are looking for only the best and the brightest - WE MEAN IT! Account Manager: In our service model, the Account Manager is often the prime client contact and is responsible for assuring that we, as a team, deliver the highest level of performance across the entire platform of client service requirements. Primary Responsibilities Include • Work closely with and guide efforts of assigned Customer Service Representatives • Meet with clients to discuss insurance and risk management topics • Conduct review and analysis of coverage portfolio • Work closely with Account Executives and principal on complex accounts • Independent interaction with carrier personnel with respect to negotiation of new and renewal terms & conditions including premiums • Ensure compliance with agency protocols and procedures (i.e. diaries, activity, binding & billing, etc) • Review all applications, policies, endorsements and audits for accuracy. To apply for consideration, please send cover letter and resume with salary requirements to HR Department at hr@novickgroup.com. For more information on these positions, please e-mail us. Novick Group, Inc. is an Equal Opportunity Employer.